Join us during the Lenten season for prayerful reflection and contemplation. Every Monday receive a special Lenten reflection for the coming Sunday. Available online and on social media. These reflections will unpack the scripture readings for the week through the lens of justice and mercy. This year, CMN has worked with our partners in different states for our weekly reflections. Reflections are listed week by week as well as a complete set available for download at the bottom of the page. Looking for additional tools for Lent? Check out CMN's Lenten Family Day Program, CMN's Death Penalty Stations of the Cross and our Good Friday Prayer Service. CMN is also excited to share our new Holy Saturday Prayer Service. 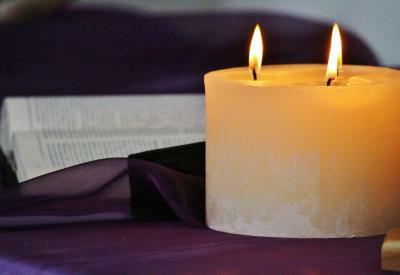 Written by Alexandra Carroll, M.T.S., Director of Communications at CMN, this prayer service lifts up Holy Saturday as an example of God's unceasing love and a source of hope for those looking for life after an experience of harm. CMN is also pleased to be featured as this year's creative voice for Education for Justice's 2018 Lenten Reflections. We invite you to explore this prayerful resource as a part of your Lenten journey. Please register to receive a copy of the 2018 Lenten Reflections and Tools. Your download will begin automatically after registration.